Greeks have a great love of whiskey and at CV Distiller you can try one of 700 labels. Greeks come only second to the Scots in their per capita whiskey consumption and new specialized bars are catering to this demand. 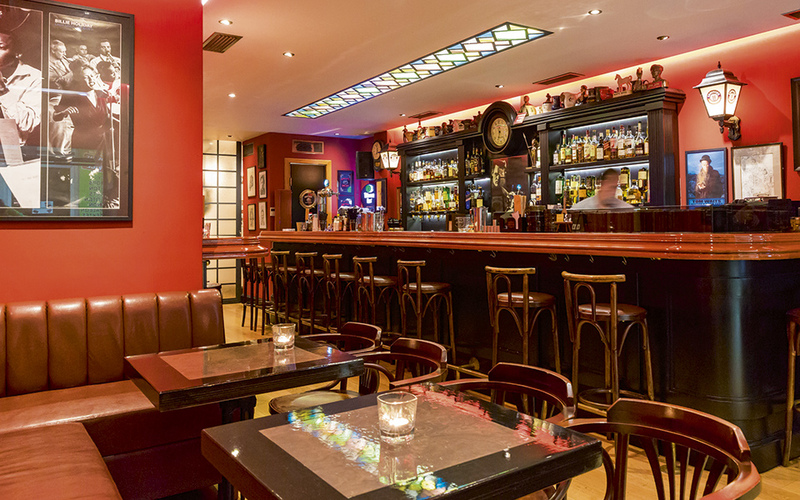 The whisky lover’s Athenian paradise is located in a pretty neighborhood behind the Hilton Hotel. Its collection comprises some 700 labels – 70 of them Japanese – and is constantly being enriched thanks to the passion of proprietor and collector Stefanos Psyllakis, who regularly visits auctions and sellers around the world. Behind the impressive wooden countertop, highly trained and knowledgeable bartenders know which glass to use and always pour over whisky stones to avoid compromising the flavor. Down a couple of stairs in the private cigar lounge is where the jewels of the collection are safely stored and displayed: Macallan 25 Y.O., Brora 35 Y.O. 1960 and almost all of the different editions of the highly sought-after and expensive Port Ellen. 56 is a place that serves whiskey with a side of philosophy if you get talking to the proprietor. Buried among the buildings on the steps of Ploutarchou Street in Kolonaki, it looks like a speakeasy from the Prohibition era, but through the doors is a space that has acquired a really great patina over time. The big classic bar countertop with leather cushioned trim, the piano, dozens of musicians’ portraits, subtle lighting and jazz backdrop make the bar look like something out of a film set. 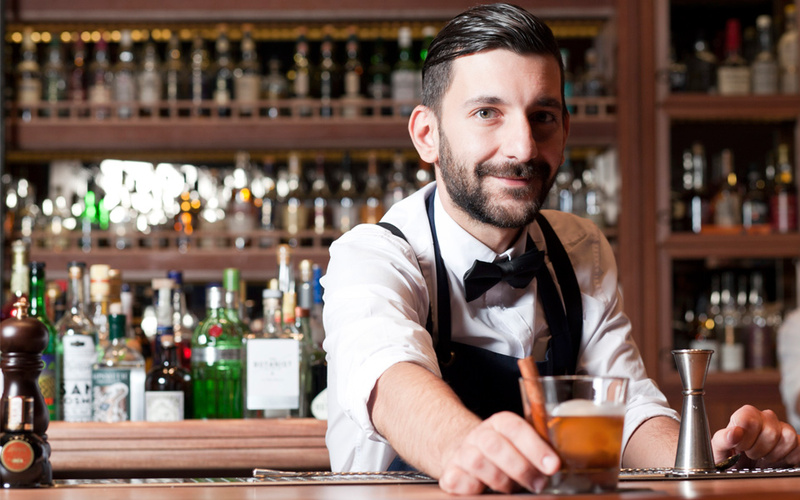 Panagiotis – artist, proprietor and bartender – knows his music as well as his whiskies. He also likes to philosophize, as you’re bound to find out. The selection is comprehensive and comprises many single malts (quite a few from small distilleries), including Irish and Japanese, as well as bourbons. 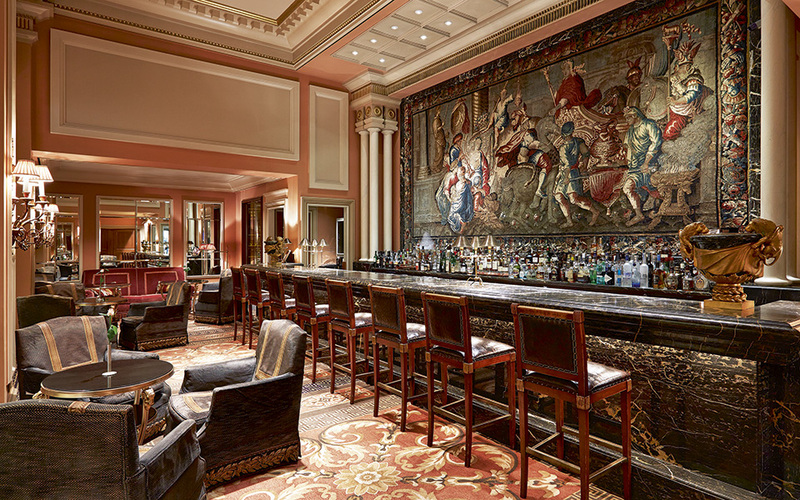 The classic, atmospheric Alexander’s bar at the Hotel Grande Bretagne. Come for the whiskey and stay for the ambience at Low Profile. 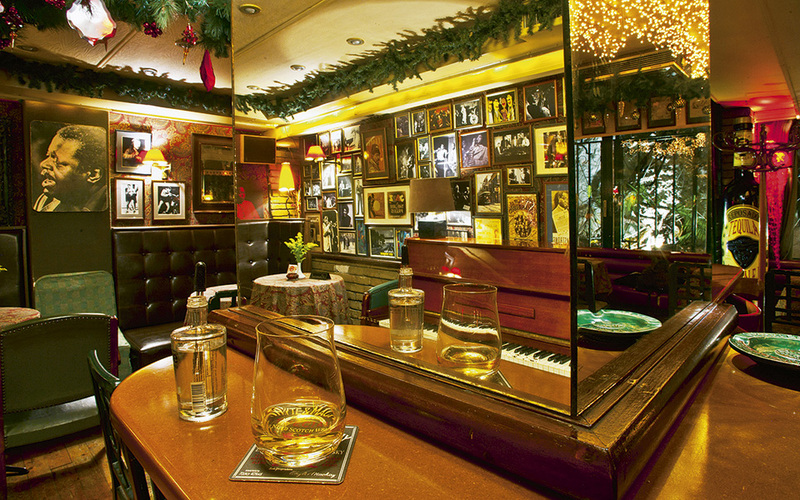 Old-school bartenders, photos on the walls of Miles Davis, Duke Ellington and Thelonious Monk, and laid-back music from retro speakers create a warm ambience for a clientele that consists of discerning drinkers of all stripes. The list caters to even the most demanding aficionados with a large collection of single malts, Irish and bourbons, including some real gems.